Looking to simplify into an exciting island lifestyle? Leave your cares behind and explore this fabulous beach bungalow! This charming beach home has never been on a rental program and shows the care and pride of ownership of a lovingly maintained home. This quaint 1,274 square foot elevated cottage lives large with its' huge 20x14 screened porch, over-sized deck, and fabulous walkout patio. Other features include: hardwood and ceramic tile floors, smooth ceilings, crown molding, and updated stainless appliances. The master bedroom has dual walk-in closets and a luxurious master bath with walk-in shower, dual vanity, and whirlpool tub. On the ground level, you'll have plenty of room for parking, golf cart storage, work space along with a spacious double bay enclosed garage. 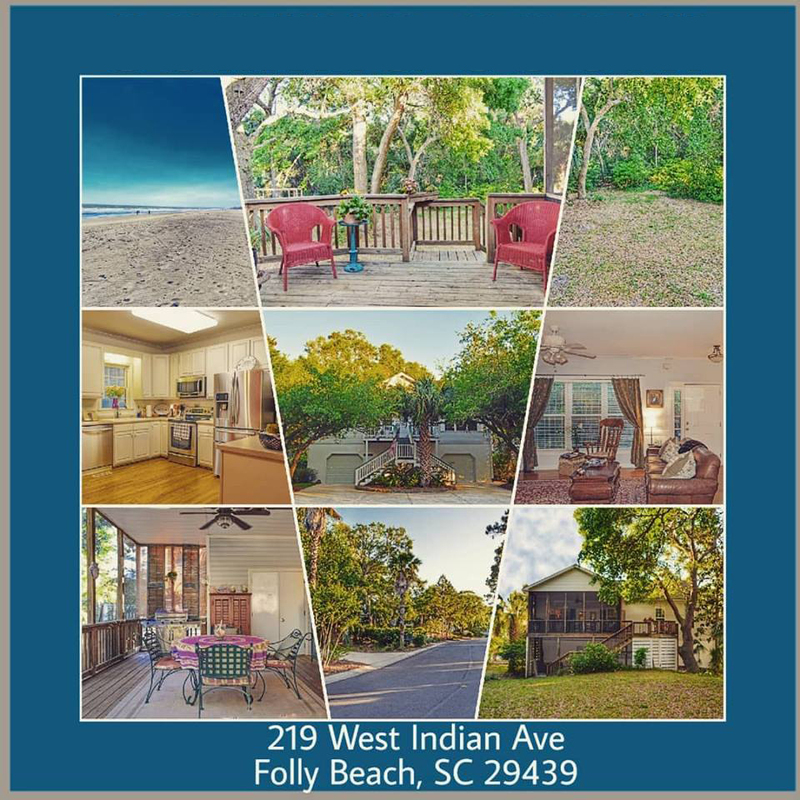 219 West Indian is only 2.5 blocks to the shops and restaurants on Center Street AND only 4 blocks to the sandy beaches of the Atlantic Ocean. All of this is just 20 minutes to Historic downtown Charleston, MUSC, College of Charleston, and The Citadel. Fr more information and to see this property, contact Jay Tracey or Rita Lamar.